Home prices hit a bottom and are finally bouncing back, according to an industry report released Tuesday. Zillow uses a different methodology in calculating home values than other home price indexes like Case-Shiller and the Federal Housing Finance Agency. 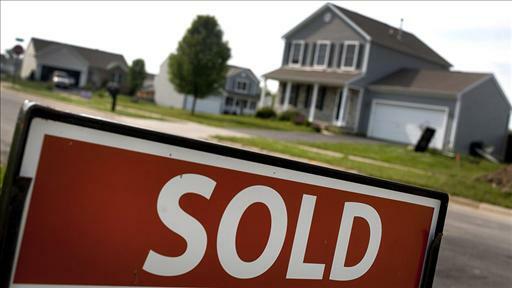 Sales of foreclosed, bank-owned properties, for example, are not factored into Zillow’s data. Zillow does include short sales, however, which are more difficult to distinguish from conventional sales. “Our index is geared to consumers, conventional sellers deciding whether they want to put their homes on the market,” said Humphries. The indexes that include foreclosures in their market data show larger price declines. The peak-to-trough drop for the S&P/Case-Shiller home price index, for example, is about 34% compared with Zillow’s 24%. Zillow expects the housing market to continue to slowly recover, with median home values projected to climb 1.1% — relatively flat — over the next 12 months. The results in those places, however, will be bumpy. Home price increases will cause some homeowners who have been patiently waiting for values to rebound to put their homes on the market. And those additional listings could cool prices for a while, resulting in a staircase effect with “price spikes followed by plateaus,” said Humphries. Economists aren’t always right, but on this at least they agree: A new Wall Street Journal survey of forecasters found 44 believe the housing market has reached its bottom; only three don’t.